- Assessment and instruction by qualified personnel means that professionals are prepared to gather assessment date and provide physical education instruction for children and youth with disabilities and developmental delays. - Accurate assessment data, including diagnostic and curriculum-based data collected by qualified personnel. - Individualized Education Program (IEP) Goals and Objectives / Benchmarks are measurable and objective statements written by the physical education instructor. The goals and objectives are reflective of the physical education instructional content and monitored/evaluated according to district policy, to ensure that goals and objectives are being met in a timely manner. For all practical purposes, Adapted Physical Education IS developmentally appropriate physical education at its finest. It involves differentiating instruction so the physical activity is as appropriate for the person with a disability as it is for a person without a disability. The emphasis of adapted physical education is to facilitate participation of students with disabilities with typically developing peers in age-appropriate activities. The APE teacher is a direct service provider, as contrasted with physical or occupational therapists. These therapies are considered related services and are provided to the child with disabilities only if he/she needs them to benefit from instruction. 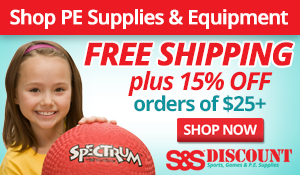 Special physical education (APE) is a federally mandated component of special education services [U.S.C.A. 1402 (25)] and ensures that physical education is provided to the student with a disability as part of the child's special education services. Change the word "adapted" to "differentiated" and you have the idea of Adapted Physical Education. It is GOOD teaching which differentiates the curriculum, task, equipment, and/or environment as appropriate for each child, so ALL students can successfully learn and participate in physical education.